As overwhelming as it may be to keep track of all the literary awards, with the many announcements of longlists, shortlists and the eventual winners, there is no doubt that these lists are fertile ground for new reading suggestions. Today I am going to highlight one of my favourites, the non-fiction shortlist of the National Book Awards. "The mission of the National Book Foundation and the National Book Awards is to celebrate the best of American literature, to expand its audience, and to enhance the cultural value of good writing in America". 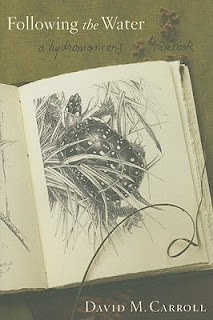 "Just 150 years ago, most of our world was an unexplored wilderness. Our sense of its age was vastly off the mark, and what we believed to be the history of our own species consisted of fantastic myths and fairy tales. How did we learn so much so quickly? Remarkable Creatures celebrates the pioneers who replaced our fancies with the even more incredible true story of how our world evolved. 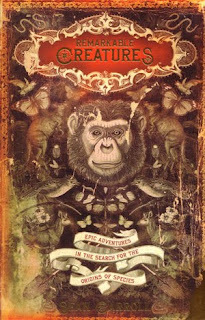 Sean B. Carroll and his cast of naturalists take readers on a rousing voyage through the most dramatic adventures and important discoveries in two centuries of natural history." "In 1927, Henry Ford, the richest man in the world, bought a tract of land twice the size of Delaware in the Brazilian Amazon. His intention was to grow rubber, but the project rapidly evolved into a more ambitious bid to export America itself, along with its golf courses, ice cream shops, and, of course, Model Ts. Instead, the settlement quickly became the site of an epic clash. 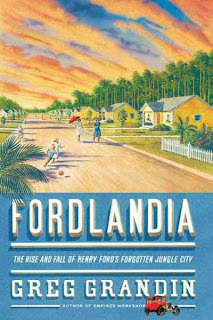 Fordlandia depicts a desperate quest to salvage the bygone America that the Ford factory system did much to dispatch. As Greg Grandin shows, Ford’s great delusion was not that the Amazon could be tamed but that the forces of capitalism, once released, might yet be contained." "Claiming Alexander the Great and Darius of Persia as ancestors, Mithradates inherited a wealthy Black Sea kingdom at age 14 after his mother poisoned his father. He fled into exile and returned in triumph to become a ruler of superb intelligence and fierce ambition. Hailed as a savior by his followers and feared as a second Hannibal by his enemies, he envisioned a grand Eastern empire to rival Rome. After massacring 80,000 Roman citizens in 88 BC, he dragged Rome into a long round of wars. His uncanny ability to elude capture and surge back after devastating losses unnerved the Romans, while his mastery of poisons allowed him to foil assassination attempts and eliminate rivals. The Poison King is a gripping account of one of Rome’s most relentless but least understood foes." "Founder of a dynasty, builder of the original Grand Central, creator of an impossibly vast fortune, Cornelius “Commodore” Vanderbilt is an American icon. Humbly born on Staten Island during George Washington’s presidency, he rose from boatman to builder of the nation’s largest fleet of steamships to lord of a railroad empire. 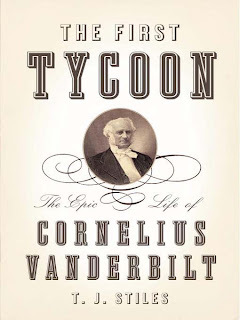 In The First Tycoon, T.J. Stiles offers the first complete, authoritative biography of this titan, and the first comprehensive account of the Commodore’s personal life." The winner will be announced on November 18th.